still waiting for trees to leaf out! At our altitude of 7500′ the scrub oak are the natives. They wait to leaf out until there is no possibility of a heavy, wet snow. This is why there are seldom broken branches on the scrub oaks. They are well-adapted to our climate. I keep photocopies of lots of actual leaves so that I can keep working through the long winter of bare branches. The photocopier is a very good camera for things that are flat. The sharp division between heartwood (darker) and sapwood in these bowls tempted me to draw zentangles on the sapwood portion. 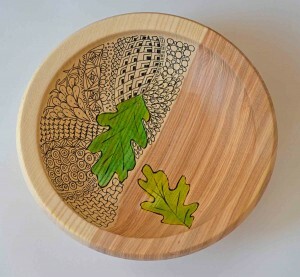 Before I drew in the backgrounds, the leaves seemed a little undersized for the bowls. Usually I like for the leaves to touch the rim in at least 2 places. The cottonwoods are also native to this region, and they, too, are slower to leaf out than the non-natives. I took both of these photos before applying the final finish to these bowls. 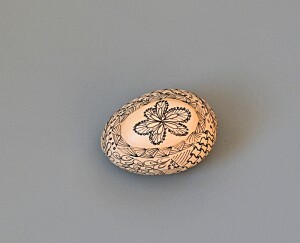 It is an acrylic lacquer with a shiny finish. It looks silky to the eye, but my camera doesn’t like the shiny finishes, even in filtered light. A woodturner would ask about the wood. These were air-dryed roughed-out blanks that Dennis prepared in 2013. Absolutely bone dry at the time I turned them, and very fine-grained for a Western Ash. These trees are dying from the green ash borer that came to the US on a shipping pallet from China. Posted in Drawing, leaves | Comments Off on still waiting for trees to leaf out! January 10th, 2015. 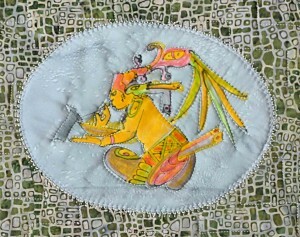 I was working on this new quilt using 9th century Mayan images. It felt like the artist was writing ‘Je Suis Charlie’ on the tablet. I discovered untapped enthusiasm for enhancing wood with Zentangle® drawings at the Southern States Woodturning Symposium. The most popular item I sold in our booth was the Staedtler pigment liner .05 pen, which works well on wood sanded to a smooth surface with 400 grit. Woodturners need it for signing their work, as well as drawing on it. Whenever I have made zentangles with a group, I find that their work quickly surpasses mine in creativity and artistry. 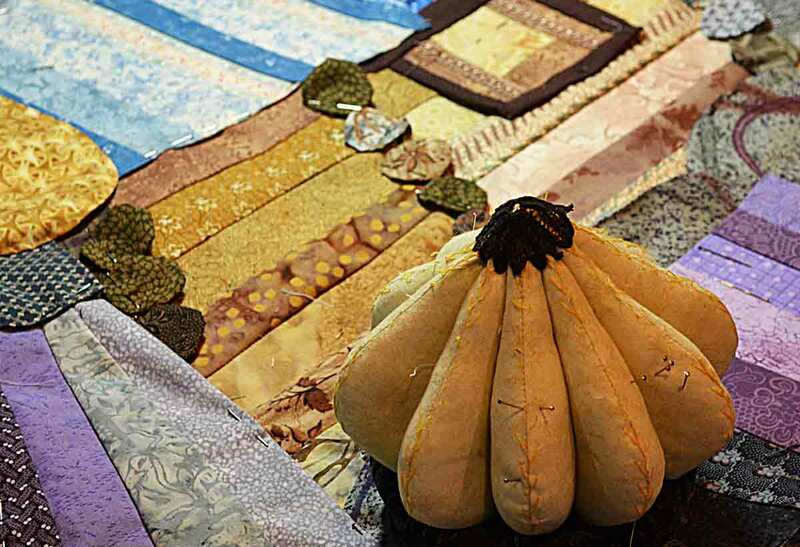 So, get to work, and let this meditative art making carry you away, too! 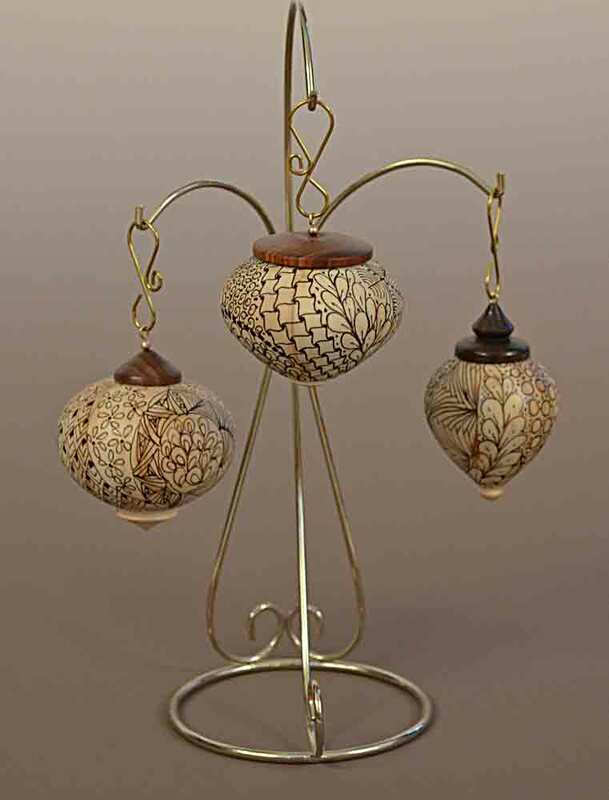 Dennis will be demonstrating turning the Zentangle® decorated ornaments at the Southern States Woodturning Symposium in Gainesville, NC , April 4-6. 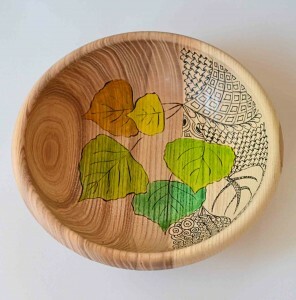 I will do some tangling for that demonstration to encourage woodturners to explore drawing and decorating on wood. 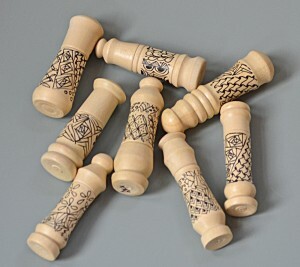 We will also bring blanks of aspen and holly to see if there is a market for woodturning blanks, turned eggs, ornament shapes, and needle cases made here in Colorado. 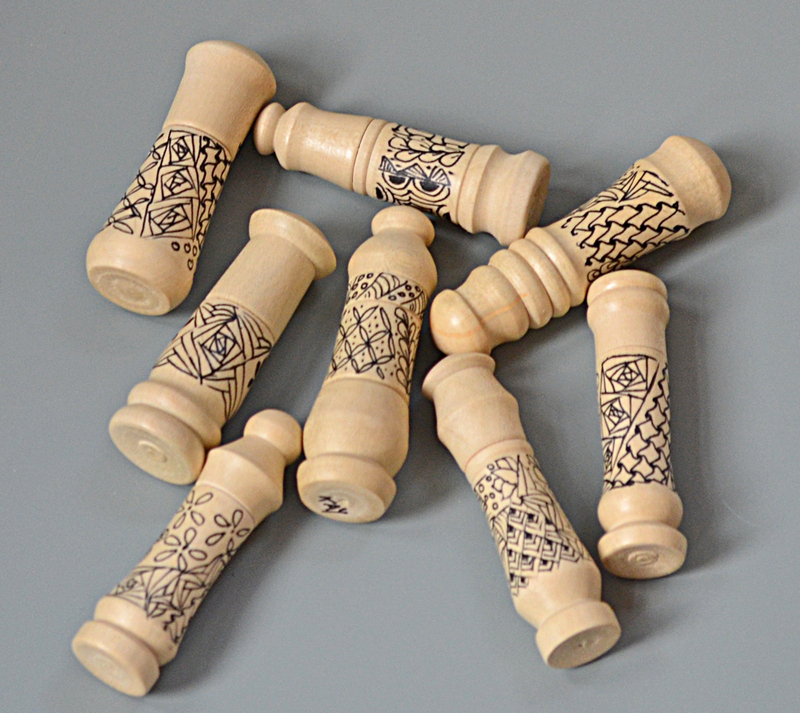 The photo shows some drawings on needle cases I made from holly. 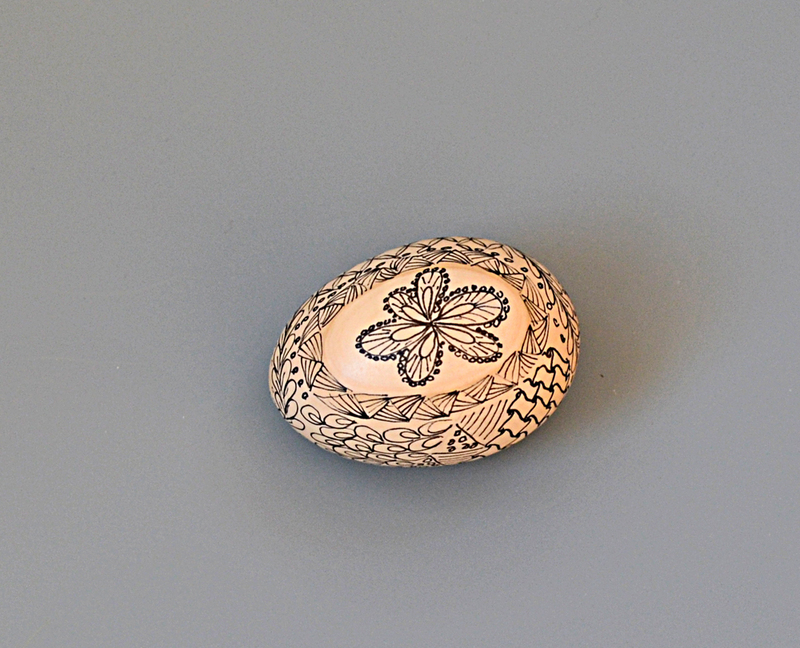 It turns out that Zentangle® designs are everywhere! This creative drawing method was created by Rick Roberts and Maria Thomas. 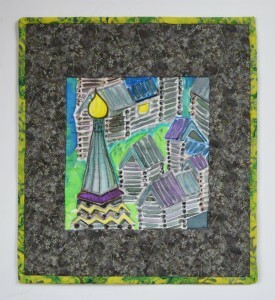 You can find materials, instructions, and list of Certified Zentangle teachers on their website, zentangle.com. 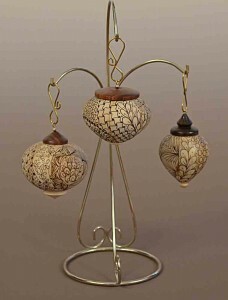 There are hundreds of ornaments with these types of designs on the internet. I think ours were the most fun, however, because we made them with friends. Posted in Drawing, Wood | Comments Off on Do you Tangle? 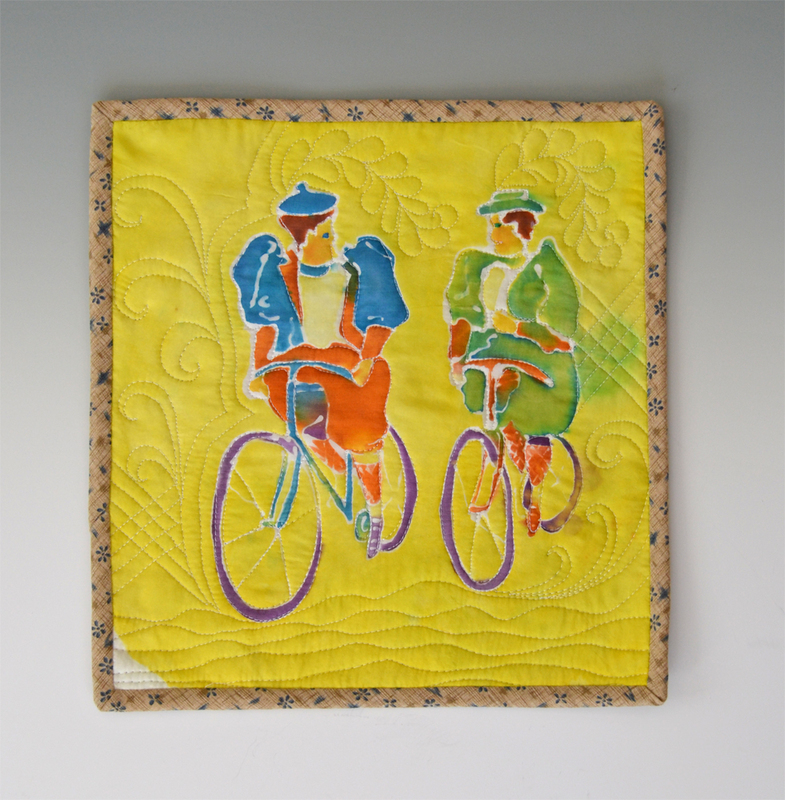 The first of the quilts based upon Ivan Zelenin’s drawing is just 14″ square. I began with a silk painting of the drawing, using the white of the serti technique to form the lines between the logs of the buildings. 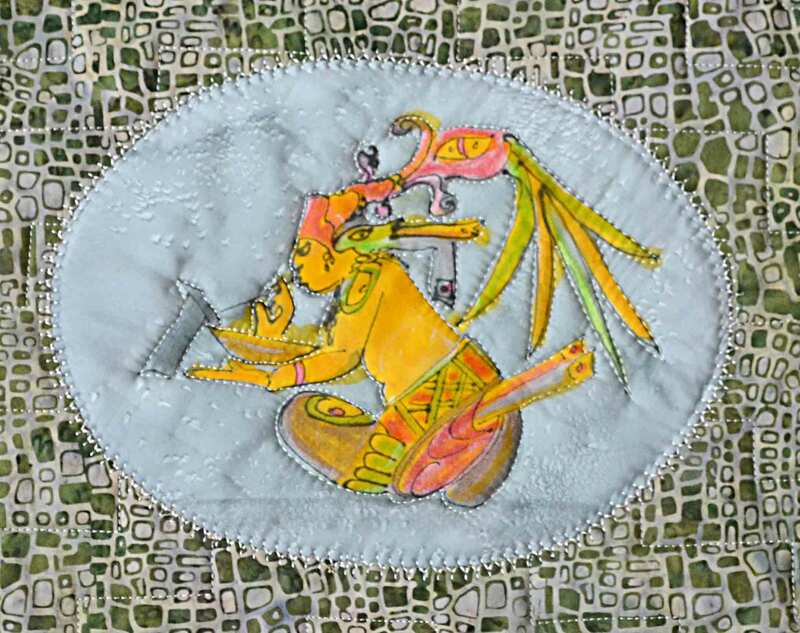 It is machine quilted with white thread to follow the lines of the drawing. The Zelenin drawing leaves many questions. I wonder how he chose the frame of the drawing. He clearly felt that the relationship between the cabins was more significant than showing the base of the tower, for example. And, then, there is the question of color. A line drawing simply invites color experiments. That is what I have done here. Posted in Drawing | Comments Off on First study quilt finished! During the spring snowstorms here on the Palmer Divide, I read about life in Siberia. I found a drawing by Ivan Zelenin from 1679 of a monastery built as a group of small log cabins. This drawing has tremendous power, even after all these years. I am making a series of quilts using the drawing. 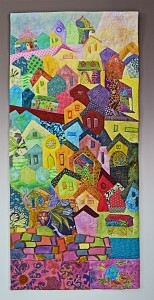 Log cabins are an American patchwork quilting design, using elements of light and dark colors. 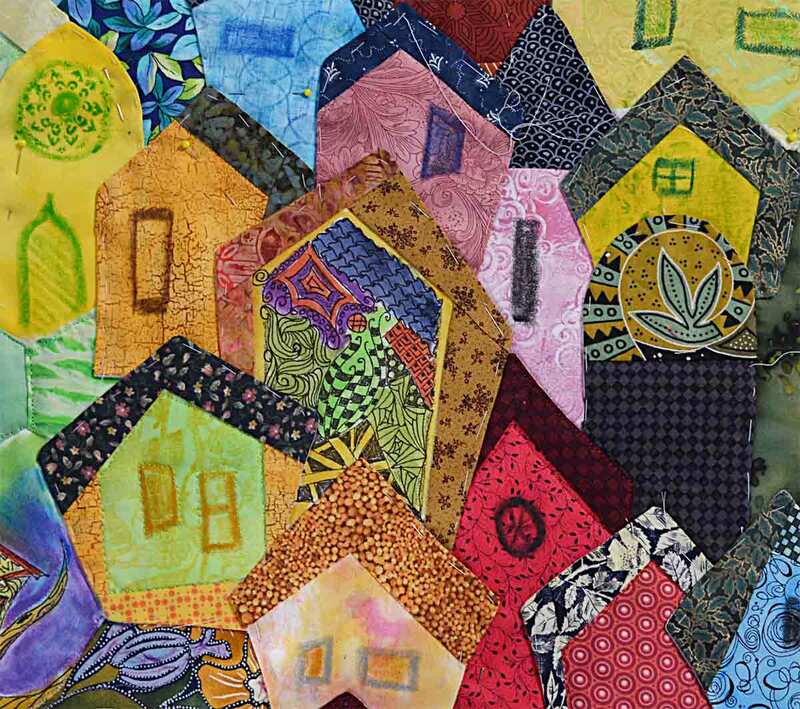 These quilts will venture off the grid into the fabulous perspective of the Zelenin drawing. The photo captures a small part of the Russian Log Cabin quilt, with my oldest cupola-shaped pincushion in the foreground.